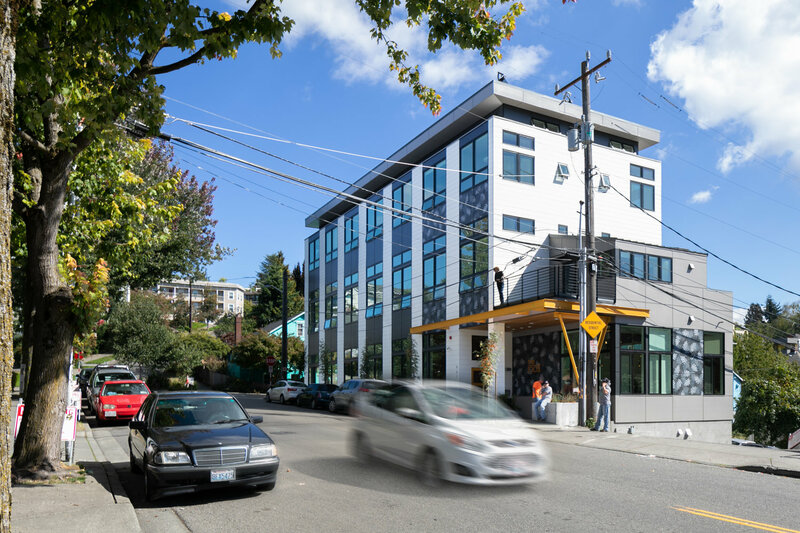 The 20 by 2020 Challenge is a local campaign to promote the development of 20 Passive House or net zero energy projects of 20,000 square feet or larger in King County by the year 2020 next year! The good news is that Zero Net Carbon buildings can make economic sense today. Passive House construction is a cost-effective means to revolutionize building energy performance, particularly for larger buildings. Many of the pioneering Passive House buildings in the US have been affordable housing projects. By establishing an ambitious energy target and using science-based design and modeling, Passive House buildings reduce energy consumption by as much as 75%. Couple this with rooftop solar or a contract for green power, and you’ve got a Zero Net Carbon building. The 20 by 2020 Building Challenge will provide “proof of concept” that Passive House can propel our shift to a carbon-sustainable future. Passive House is the world’s leading standard for energy efficient construction. It combines building enclosure efficiency and passive solar strategies in a system for designing and building cost effective, comfortable, energy efficient buildings. Using passive heat sources (solar of course, but also equipment, lighting, and occupants).